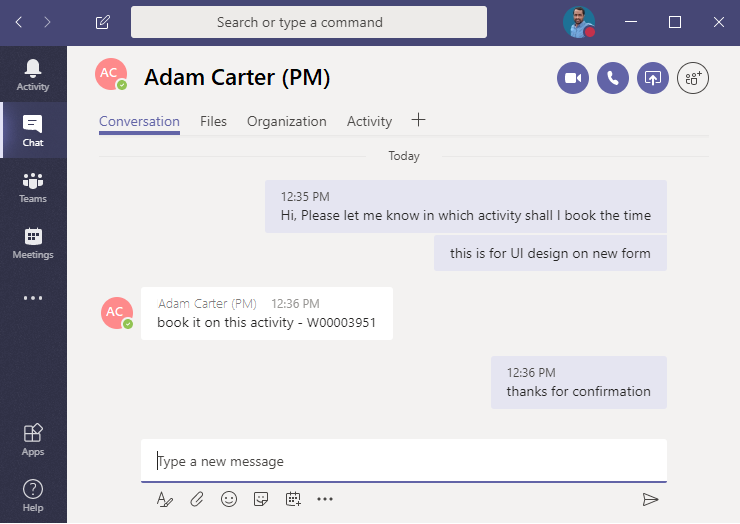 *Projects+ 10.0 for Microsoft Dynamics 365 Finance & Operations introduces new Communication, Subproject, Billing review, Project management, and other improvements! 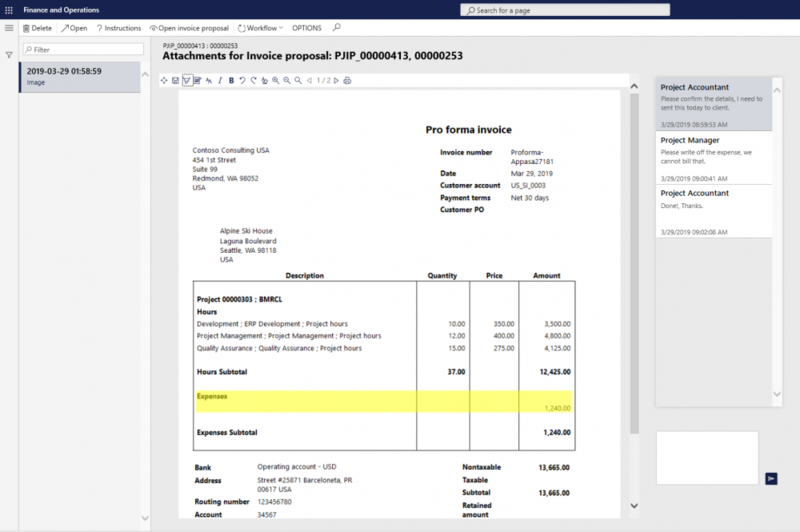 Reviewing the project invoice documents and taking desired action can now be done electronically within Dynamics. This feature enables writing electronic notes on Invoice proposals as part of the Invoice workflow. Also, a comment section is available to track the communication regarding any Invoice modifications. The version history of proposal documents and comments is saved and available for future reference. This new functionality can be enabled through a parameter and by activating Invoice proposal workflow. Projects and Subprojects can be added and key fields maintained from a single form. Projects and subprojects are represented in a hierarchical grid structure, making it easier to maintain values, such as Subproject dates. This feature also allows you to manually number the Subprojects instead of only incrementing from the last Subproject. 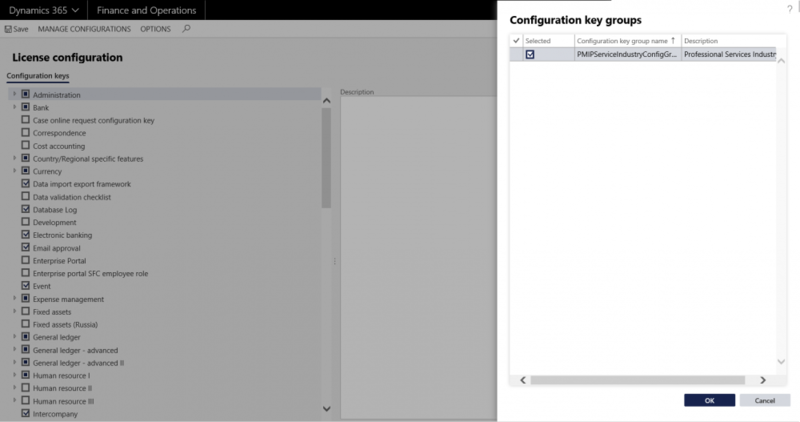 For larger Subproject structures, a new Data entity is available to allow Excel import and maintenance. Project view, Resource forecast and Unit billing forecast forms have an updated user interface. These forms now have a tree control for better representation of Projects and Subprojects, helping the Project managers manage data at many levels. If entering these forms from the lowest level project, the experience will not appear to have changed from before. This form now has three sections. The Tree section displays the Projects and Sub-projects. Project summary section shows the hard booked and soft booked hours for the selected project. The Project hour entry grid shows details of the selected Project(s) and allows for Resourcing updates. The Tree section displays the Projects and Sub-projects. Resource grid section shows all the resources and booking details for the selected Project(s). The Tree section displays the Projects and Sub-projects. The Overview section shows Unit forecasts for the selected Project(s). The new form will be available on the Project tasks Workspace and will accessible to Project timesheet user and Employee security roles. For industries with very short billing windows, Timesheets can now be automatically submitted when transferring time from the Manage pending time form. This new functionality is controlled through a parameter and will work only if the ‘Maximum number of timesheets per period’ is set to unlimited. When a Project manager assigns the Resource on the Project or to an Activity, a Favorite for the selected Resource is created automatically. This functionality is controlled through 2 parameters under Projects+ parameters. Activate project resource assignment – When a Resource is assigned to a Project, a Favorite is created for that Resource is created automatically and will be deleted when Resource is Removed or Project is complete. We have added more transaction attributes in our invoice grouping to support virtually any possible combination for project grouping. Along with this we have added few new attributes for hours, expenses, items, fees and on-account transactions. Emailing capabilities have been added on the Pending work items form. Using the email functionality, the Workflow administrator can send a summary email to the Approver as a reminder about open Work items. The Project status Workspace is available from the Project management workspace. The Project status workspace opens with details of the record selected on the Project management workspace.